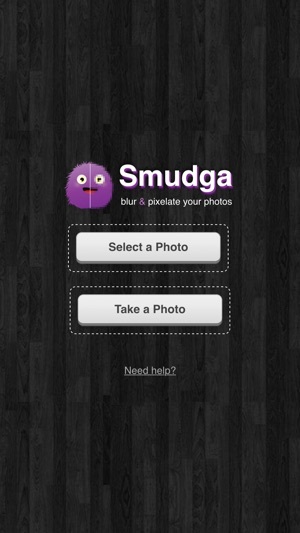 With Smudga you'll be able to take any photo you have on your device, and cover up part of it with a touch of a finger, using blur & pixelate options. Each provides a quick and easy solution for blurring or covering up parts of your photo you don't want to be recognized. 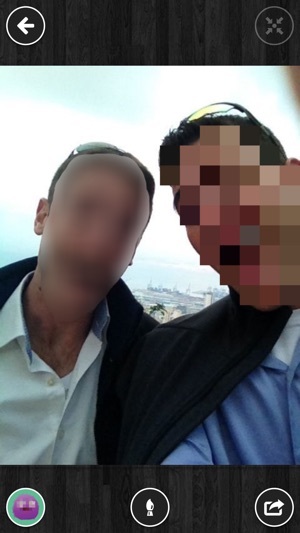 Use Smudga to blur photos, pixelate faces, and paint over whatever you wish to hide in your photos. 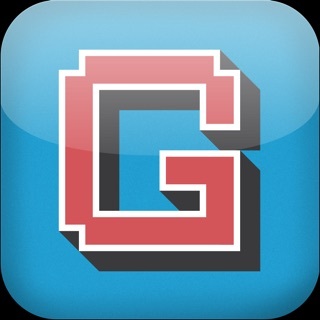 * Select a photo from your gallery or take a new one. * Pinch to zoom in and out. * Use two fingers to move the photo. * Choose one of Smudga's tools by clicking the left bottom button. 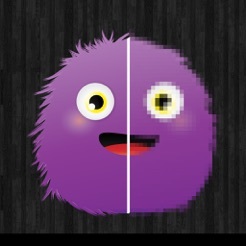 * Change the brush size by clicking the icon in the center. * Start drawing with your finger on top of the image to get the effect. * Select another tool and continue drawing. * Shake your device to clean the workspace. * Click the "Export" button to either save the new photo to your gallery or share it in your social networks.